Did you know that rhinoplasty has been around for thousands of years? Over the centuries, the procedure has seen numerous changes and innovations. Today’s nose surgery is the product of a long evolution and the contributions of countless surgeons. Rhinoplasty generally refers to any plastic surgery of the nose, whether for cosmetic or functional purposes. This may include altering the tip, straightening the nose, removing cartilage, adding cartilage grafts and other measures aimed at improving the functionality or appearance of the nose. 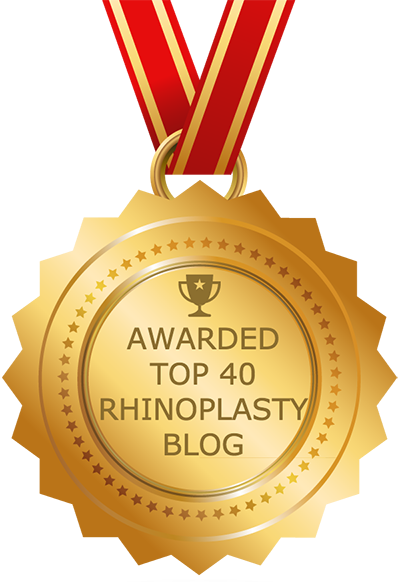 The word rhinoplasty comes from the Greek words rhinos (nose) and plassein (shape). Rhinoplasty may trace its origins as far back as 3,000 B.C., where in ancient Egypt criminals were punished for theft and other acts by cutting off their noses. This gruesome act, referred to as rhinectomy, left scores of people with mutilated noses. In response, surgeons developed techniques to reconstruct the nose. These techniques are discussed in a book called the Ebers Papyrus, which is the oldest, most comprehensive Egyptian papyrus dealing with medical procedures. This basic but important document was the foundation for later innovations in rhinoplasty. Another early rhinoplasty surgeon was Sushruta, an Indian surgeon who also began performing the procedure to repair the noses of criminals, around 500 B.C., Sushruta performed rhinoplasty using techniques more sophisticated than those used by the ancient Egyptians. Namely, Sushruta is recognized as the inventor of forehead flap rhinoplasty, versions of which are still used in modern plastic surgery. Several hundred years later, during the Roman Empire, plastic surgery appeared in medical texts such as De Medicina (“On Medicine”). Written by Aulus Cornelius Celsus, this text details reconstructive surgical procedures of the nose and other areas of the body. Also during the Roman Empire, The Synagogue Medicae (“Medical Compilations”), by Oribasius, discussed techniques aimed at reconstructing congenital nasal birth defects. Italian surgeon Dr. Gasparo Tagliacozzi is generally recognized as the first modern European visionary in facial plastic surgery. In The Surgery of Defects by Implantations (1597), Tagliacozzi detailed reconstructive nose procedures performed on soldiers injured in wartime. Rhinoplasty really only became “popular” in the 19th century. In 1815 English surgeon Joseph Constantine Carpue outlined techniques to address battlefield nose injuries in Account of Two Successful Operations for Restoring a Lost Nose. Also in 1815, Dr. Karl Ferdinand von Gräfe published a book discussing nasal reconstruction. Dr. von Gräfe is widely recognized as a plastic surgery visionary due to his advancement of the work of earlier surgeons such as Tagliacozzi to create more sophisticated techniques. His book details ancient techniques as well as a technique he himself created, called the free-graft nasal reconstruction. Later in the 19th century (1887), the first modern rhinoplasty was performed by Dr. John Orlando Roe. In WWI the rhinoplasty came to the forefront as surgeons were faced with innumerable nose injuries from the battlefield. The need to repair so many injuries of all types led to rapid advances in surgical technique. As a consequence, surgery as a whole, including rhinoplasty, became safer following WWI. In the decades after WWI the cost of advanced procedures like rhinoplasty prevented the vast majority of the population from benefiting from such techniques. However, since the 1950s advancements have made it easier for people of different income levels to consider having cosmetic plastic surgery. Today, rhinoplasty forms the foundation of an entire subspecialty of facial plastic surgery focusing on nose surgery. These days surgeons use one of two approaches when performing rhinoplasty: the closed approach or the open. The closed approach is performed by making incisions inside nostrils. The bones and cartilage are altered to improve the shape and/or functionality of the nose, and the incisions are then closed by the surgeon. In contrast, the open approach involves incisions made across the columella, the skin that separates the nostrils. In the past many people frowned upon plastic surgery, but that has changed markedly over the years. Recent studies have found that more than half of all Americans approve of cosmetic surgery; this includes people of all income levels. In addition, each year more and more men turn to plastic surgery to maintain a youthful look and stay competitive in the economy. Today rhinoplasty and other cosmetic facial plastic surgeries and treatments are available to and popular among people from a variety of ethnic, cultural and financial backgrounds.